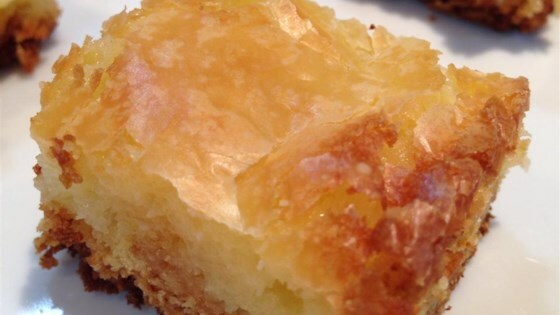 "This cake uses a cake mix to make a crust, over which there is a cream cheese layer. Easy to make." Delicious! Helpful tip: others complained about the difficulty of getting the dough into the pan - just mix it all in the pan and it spreads easily. This is by far the best version! ANd, it is better to use golden yellow cake mix than a butter yellow cake mix!!! !